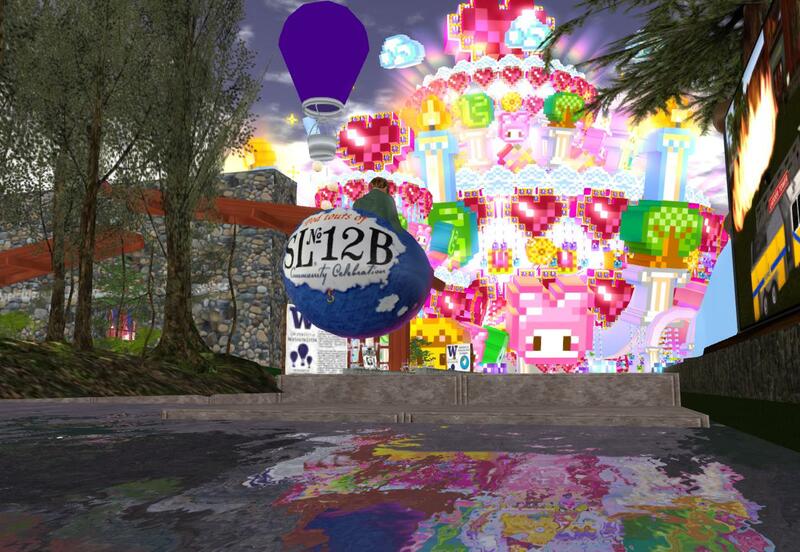 Second Life was officially launched on 23rd June 2003 and has now has reached its 12th Birthday. 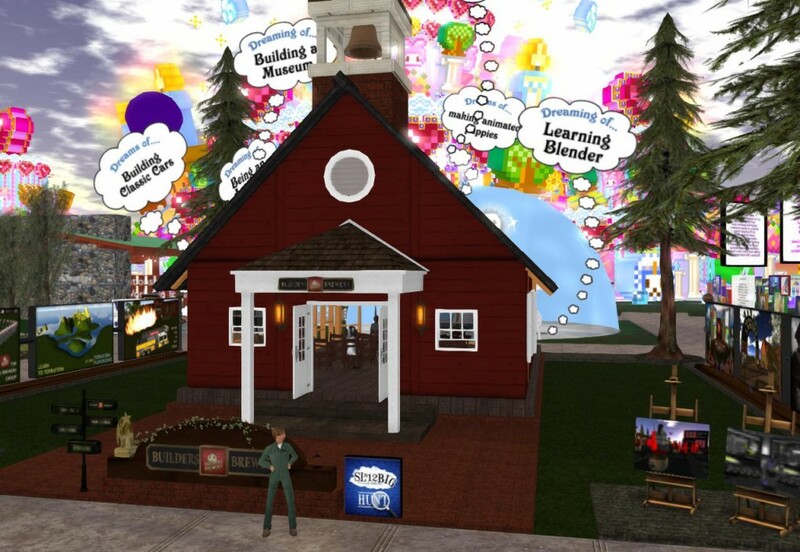 A range of exhibits are available to act as a showcase for what has been built by the Second Life community. 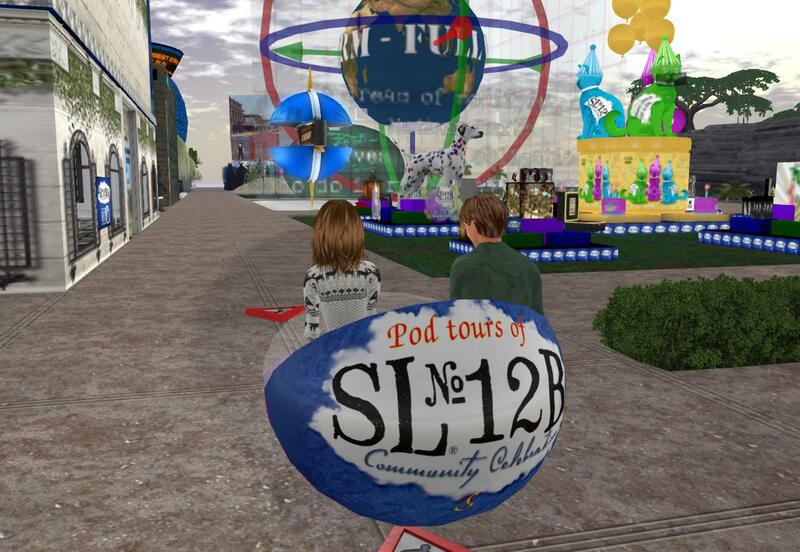 A pod ride will take you on a tour and describe the exhibits you will pass. 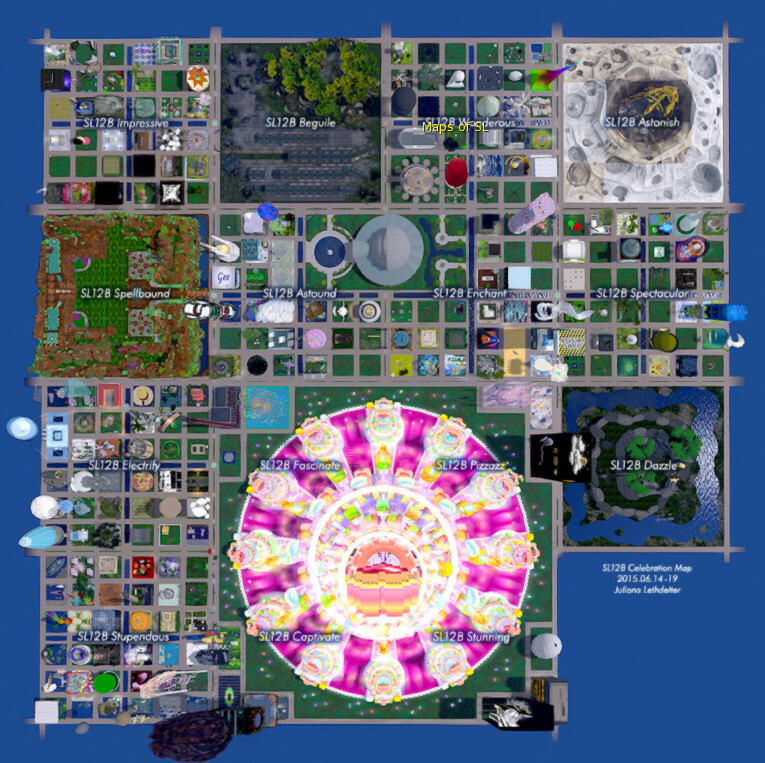 The Maps of Second Life Pavilion shows maps and information about the development of Second Life since its early test days… more information is available at this blog post. http://maps.secondlife.com/secondlife/SL12B%20Wonderous/113/23/22 or at its permanent home at New Kadath Lighthouse Art Gallery, New Kadath (34, 51, 22) – http://maps.secondlife.com/secondlife/New%20Kadath/34/52/23. 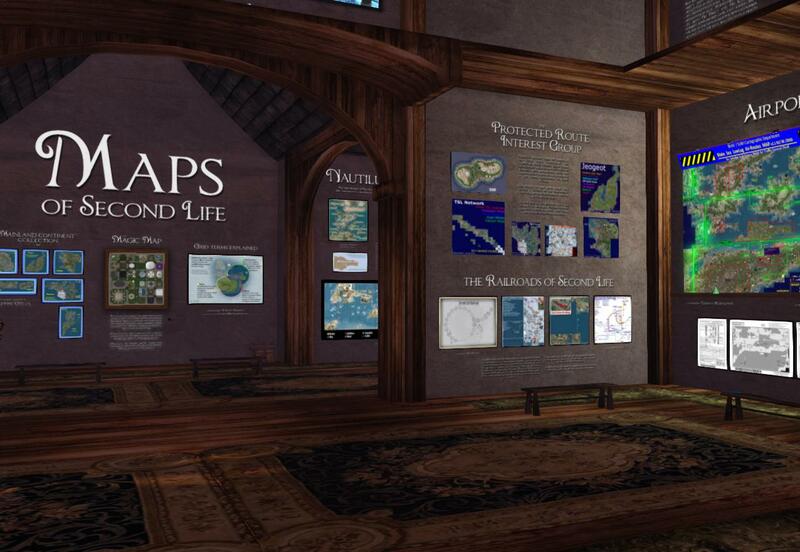 The Maps pavilion is curated by Juliana Lethdetter, a member of the Second Life Historical Society. 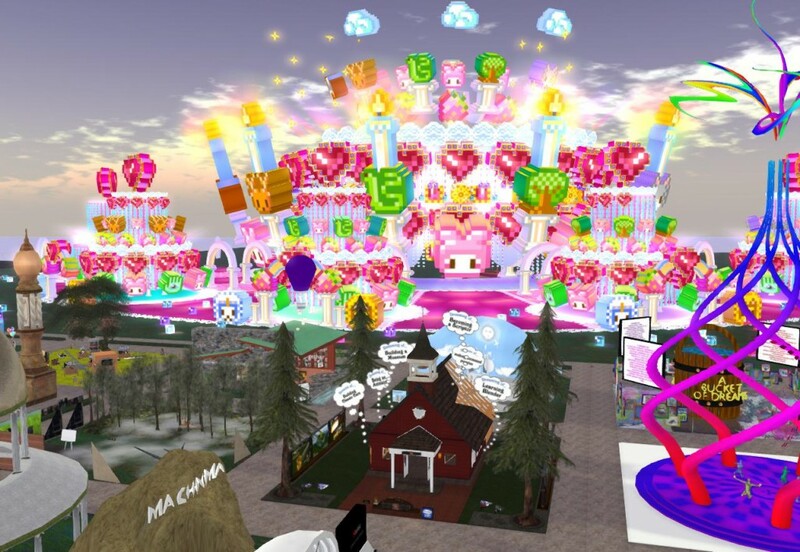 This entry was posted in Second Life, Virtual World and tagged History, Maps, Nautilus, Second Life, SL12B, Virtual World. Bookmark the permalink.